I’ve used OpenBUGS for Gibbs sampling in the past, and while it’s a powerful piece of software, I hate OpenBUGS’ GUI, especially since it runs only on Windows. 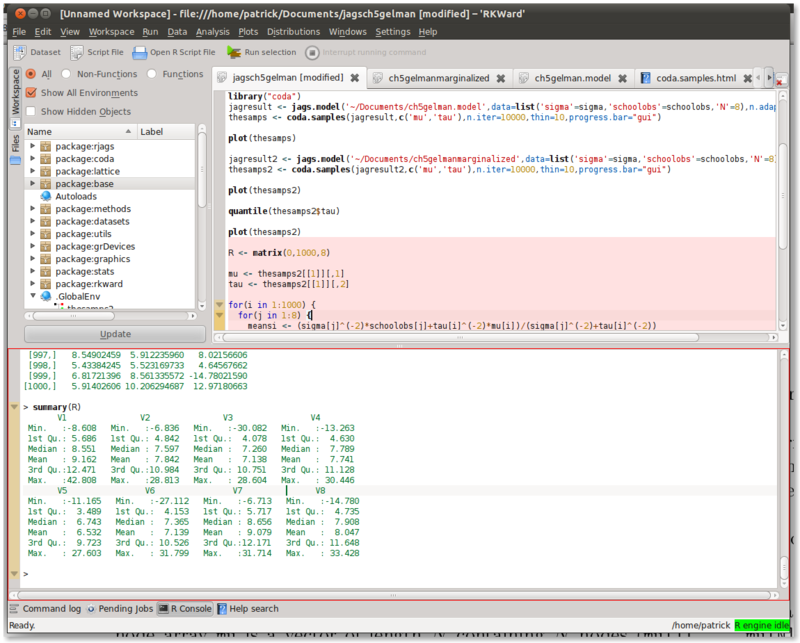 JAGS is an alternative Gibbs sampling program that uses an OpenBUGS-like syntax and runs on the command line. 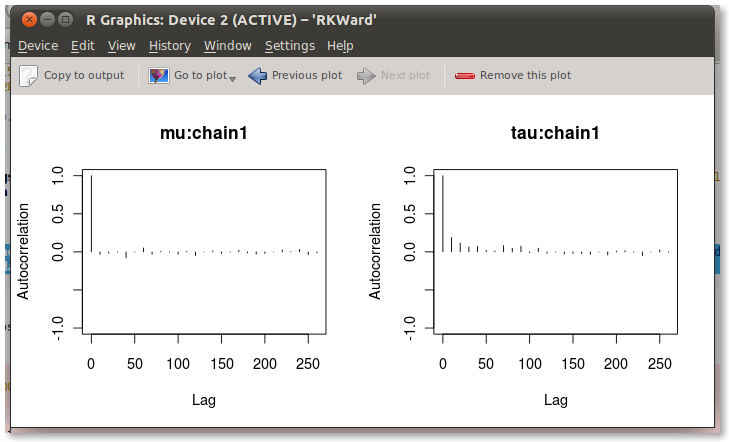 You can call JAGS in R through the rjags package and analyze the convergence of the MCMC chains through the coda package. 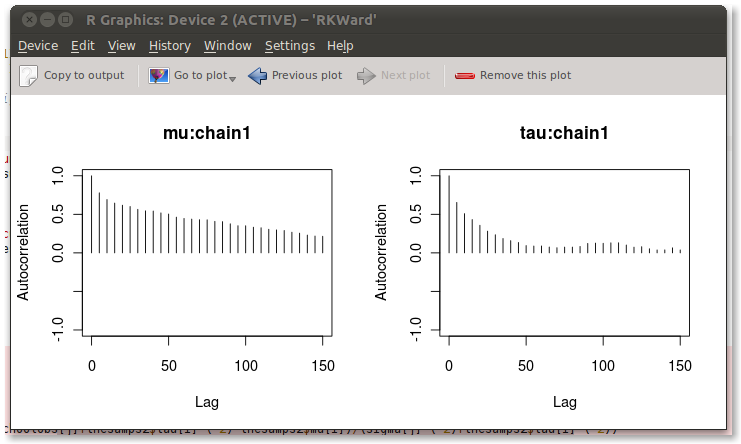 It works beautifully, especially with RKWard, an alternative GUI for R that runs on Linux that is quite satisfying to use. With RKWard and this Matlab to R cheat sheet, you can get started doing Gibbs sampling painlessly in minutes. Then after opening RKWard you can install the “coda” and “rjags” packages through the Settings > Configure Packages menu, or by running the R command install.packages(). Here’s a simple example taken from chapter 5 of Bayesian Data Analysis by Gelman et al. The problem is to determine whether different SAT training programs have a positive effect on SAT scores. We are given the summary statistics of the distribution of changes in SAT scores following training in 8 schools (mean and standard deviation), and they are quite noisy. Because of this noise, we might want to pool the scores from the different schools together to determine the overall effect of training, despite the fact that the schools used different programs. On the other hand, if we want to determine the effect in any individual school we can’t pool the results, and that means individual inference will be very noisy. Gelman proposes that instead of either pooling everything together or doing no pooling at all, we should use a hierarchical model in which the mean training effect is taken from a distribution with mean 0, a school’s individual effect is taken from a distribution with mean equal to the mean training effect, and the observed scores are taken from distributions centered around individual effects. By tweaking the standard deviation (sigma) of the distribution of the school’s individual effects, we can obtain the equivalent of no pooling (sigma -> Infinity) or full pooling (sigma -> 0), or something in between. This model can be saved as ~/Documents/ch5gelman.model. You can see that compared to Table 5.3 in Gelman, the means are shrinked more towards the population mean as I have a proper prior on tau rather than a uniform one as in his example. 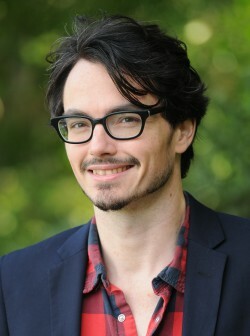 Thanks for your great work! 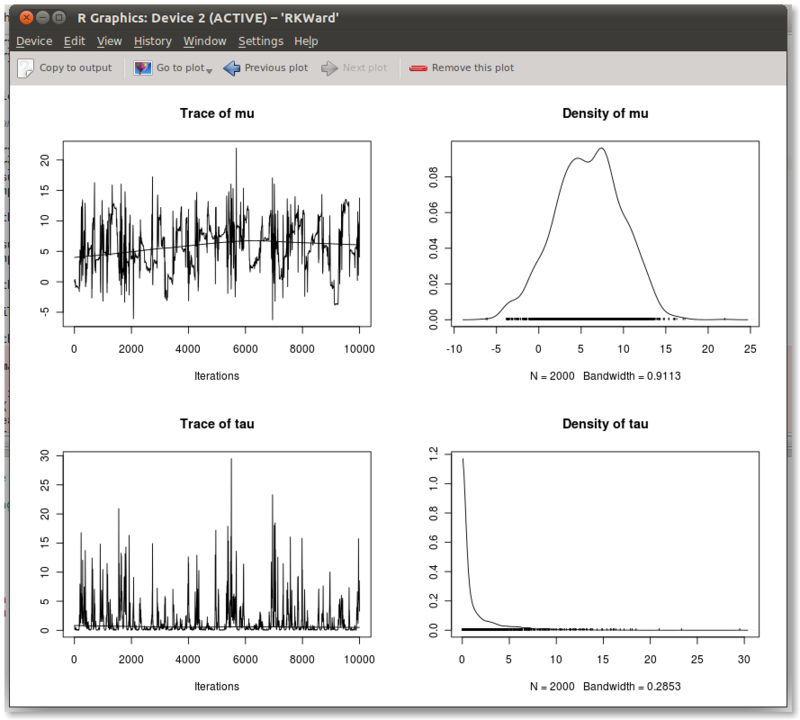 I wonder whether I can use the same way of collapsed Gibbs Sampling to fit the LDA model? Thank you in advance! Hi, thanks for this post. The rjags help says thatt function coda.samples updates the model, and coerces the output to a single mcmc.list object. I would like to know how to update it again if you haven’t reach convergence without loosing the previous iterations. I don’t know, I guess you could simply concatenate the mcmc.list objects you get on every update. Excelent post. I’m really astonished bugs doesn’t have natural gui’s under linux neither a port into CRAN (at this time) although I have installed OpenBUGS, but run this into shell it is a… ‘different experience’.